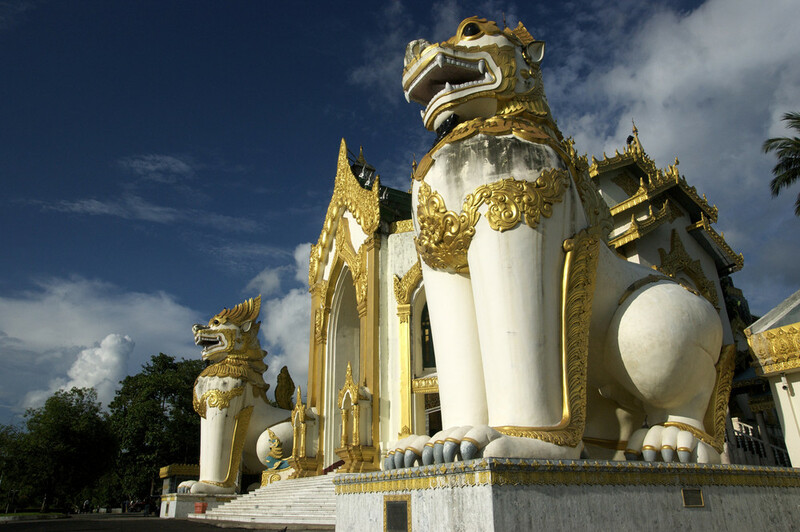 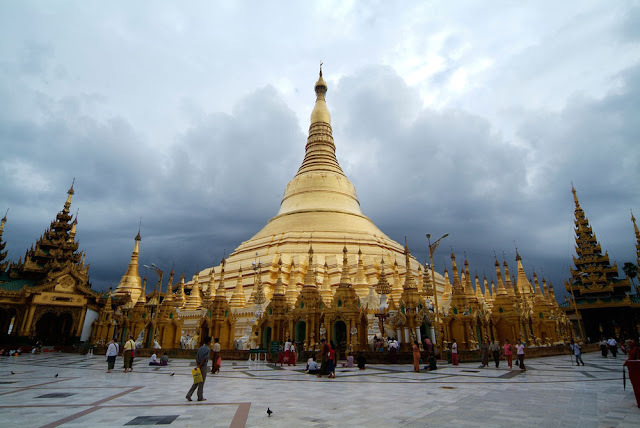 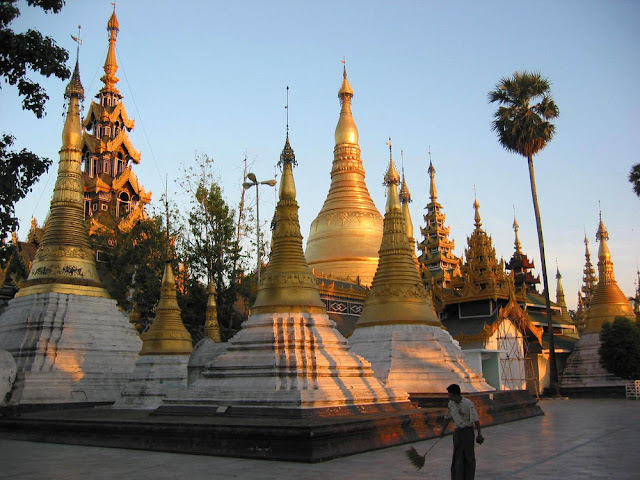 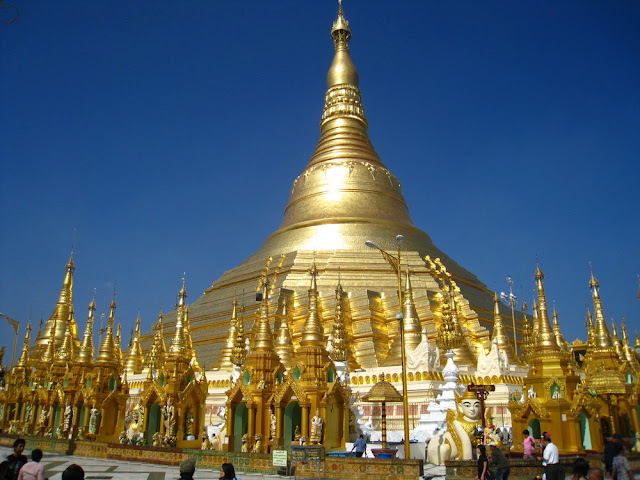 The most notable building in Yangon is the Shwedagon Pagoda, also known to be the first pagoda on earth. 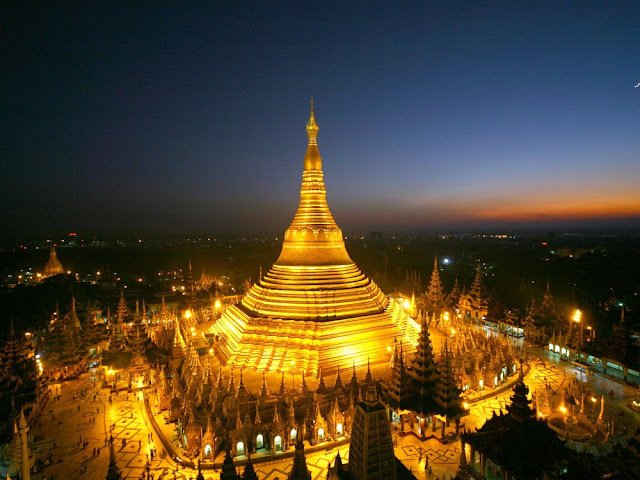 The golden Shwedagon is the first sacred monument which the visitor to Myanmar can see from air or by sea, one of the wonders of the world.It is marvelous work of architecture conical in structure. 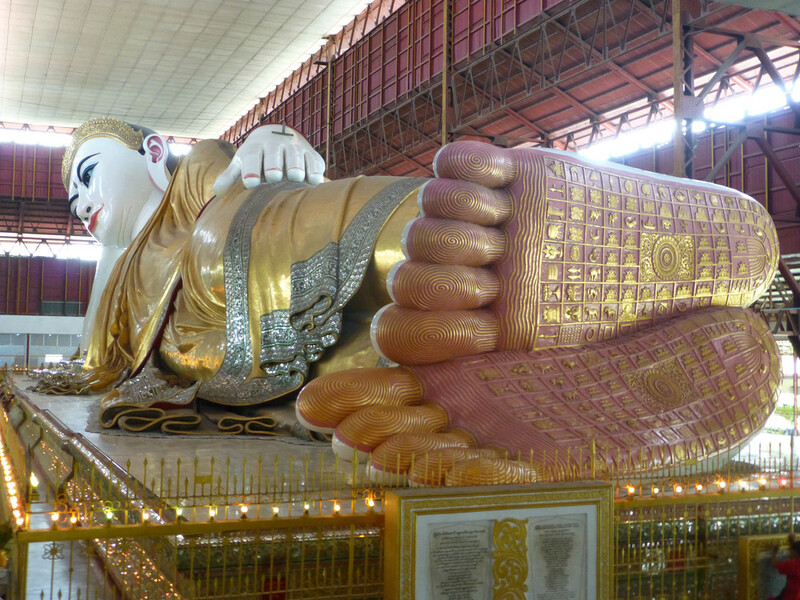 Its height 100 meters above the holy Thainguttara Hill. 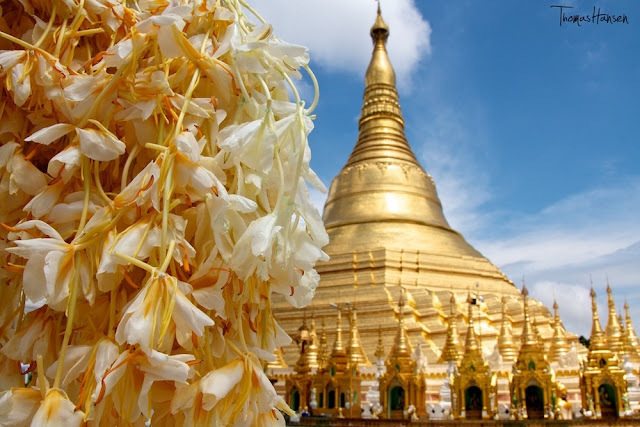 Erected more than 2500 years ago and enshrining eight hairs of the Buddha placed in a treasure chamber deep under its base, it is the highest symbol of the people’s devotion to Buddha. 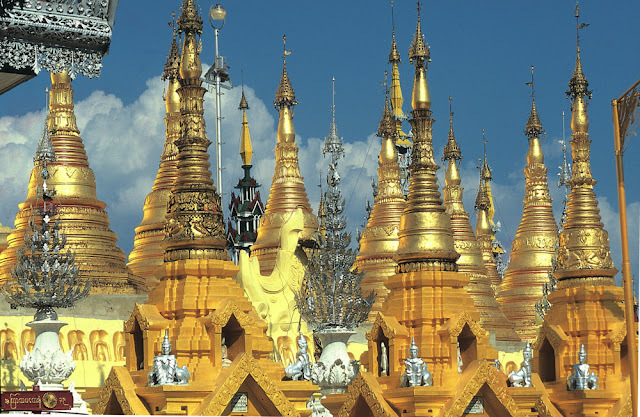 The base surrounded by 64 small pagodas with four lagers, one in the center of each side. It is plated with more than 30 tons of gold, towering 98m over the city. 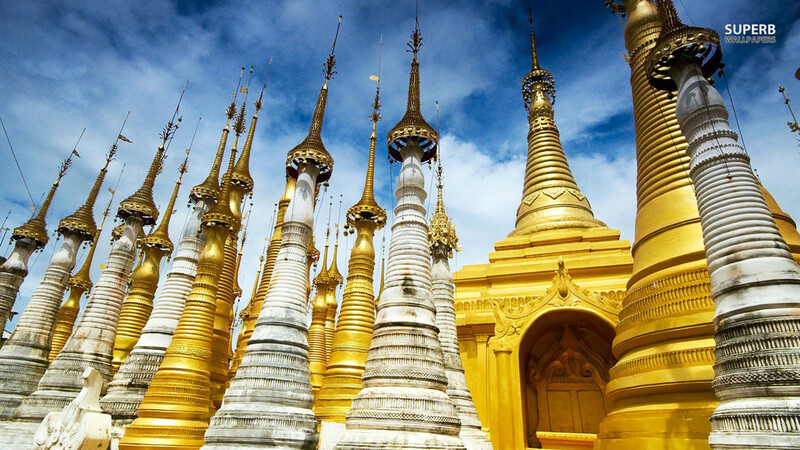 A number of Myanmar kings and queens donated pure gold equivalent of their body weight to this pagoda throughout the history. 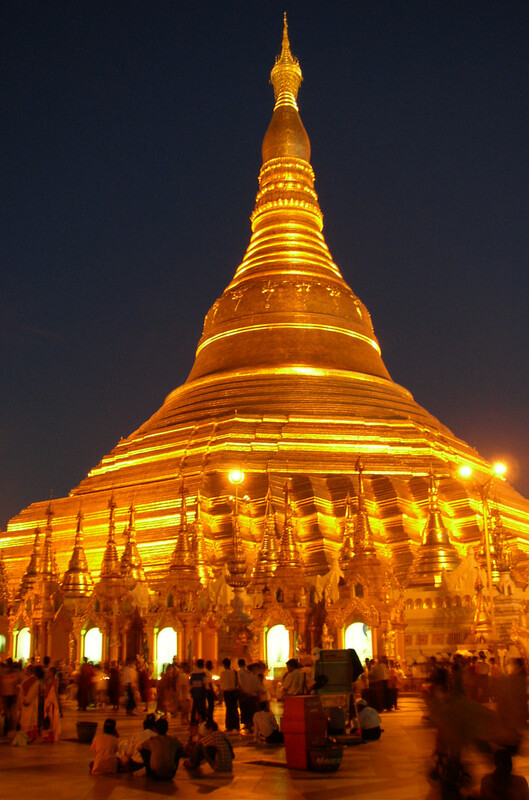 The tip of the golden cone is set with rubies, diamonds, sapphires, topaz and enriched with gold bells. 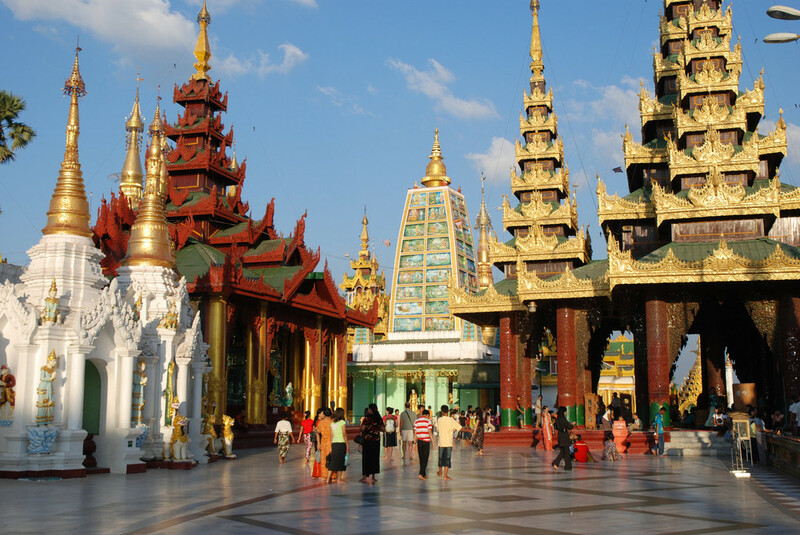 Around the main stupa are more than 100 smaller pavilions and halls.